Cherished Treasures: Do You Like Homemade Items? It's been awhile since I bragged about my wonderful friend, Barbara and her wonderful Etsy store. I've shared her wonderful rag quilt projects several times. 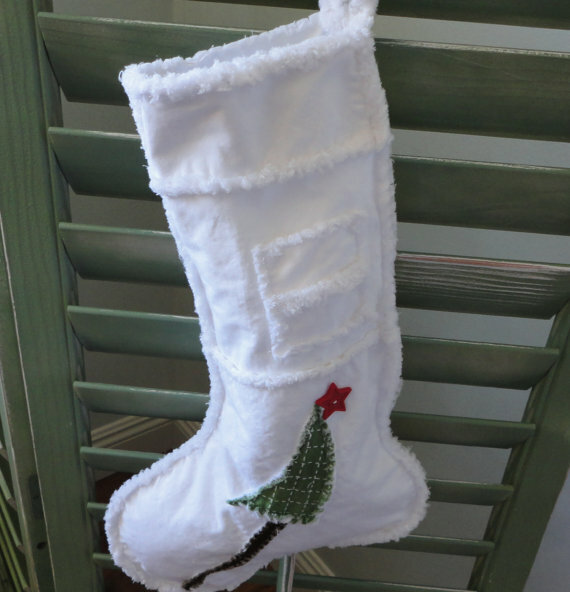 Barbara creates the most beautiful rag quilts, bags, kitchen towels and potholders, Christmas stockings. 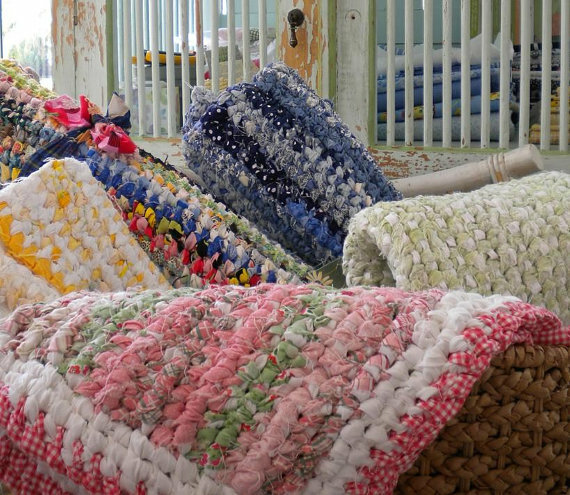 If you love the rag quilt projects, you'll love her store! so cute and I have to share! 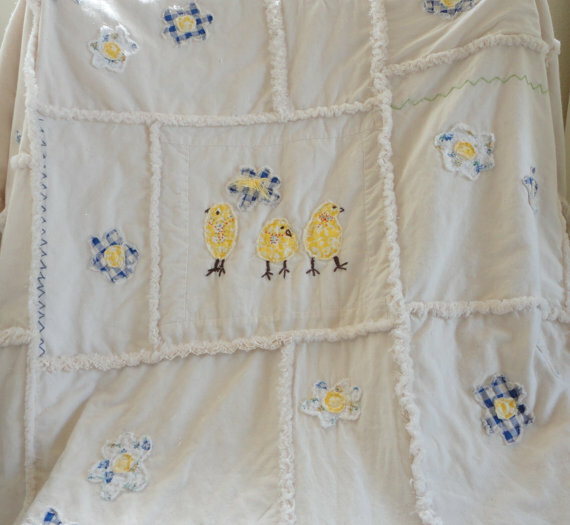 I adore rag quilts and Barbara outdid herself with this cute rag quilt with these patchwork chicks. There are several other rag quilts for sale too! 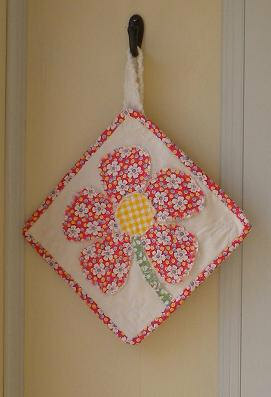 a rag quilt stocking would be a great way to update your home for the upcoming holiday season. 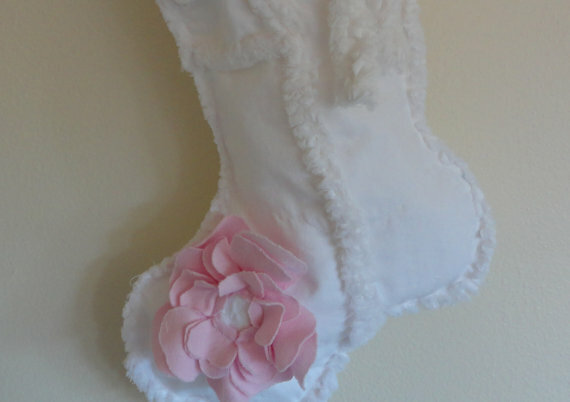 Or perhaps you have a special person who would love to receive this stocking. Don't you just love this pink flower? I can't imagine anyone not loving this, can you? Do you like to make gifts for the Christmas season? You could make rag rugs to give or maybe give the insruction book and tool to that crafty person who would love to learn a new craft. I have a set of potholders in my home, and now you can buy the instructions to make your own pot holders. This would be a great Christmas or shower gift and hand made by you! I'm loving all the items that are now offered as patterns. 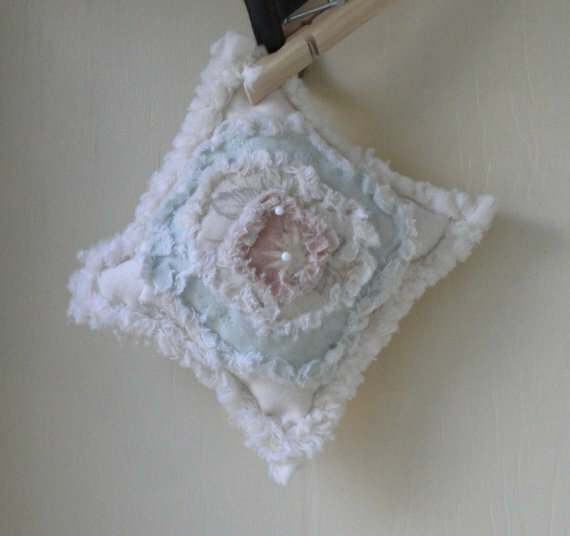 This is such a pretty little pin cushion that you could make and put in a basket with some thread, tape measure and other sewing things for a wonderful gift for any time of the year. this might be a great time to check out all the new items.